After Andy Quail has looked after it for so long, the LOC banner that was used on our club display at the VMSC show has landed back at LOC HQ. I'd forgotten all about it until Andy mentioned it to me following the DISC 30 event. Does anyone have any photos of that first show when we (the LOC) put on a massive display of machines? nice one, what ever happened to the website pete? i think sarah took over running it for a while then it seemed to go "off air"
there was a lot of good information contained on the site. Can't see the images. Don't know if it just me. You did used to put on some massive club displays back then. I remember the pics from one very clearly, so cool all them Vegas together. 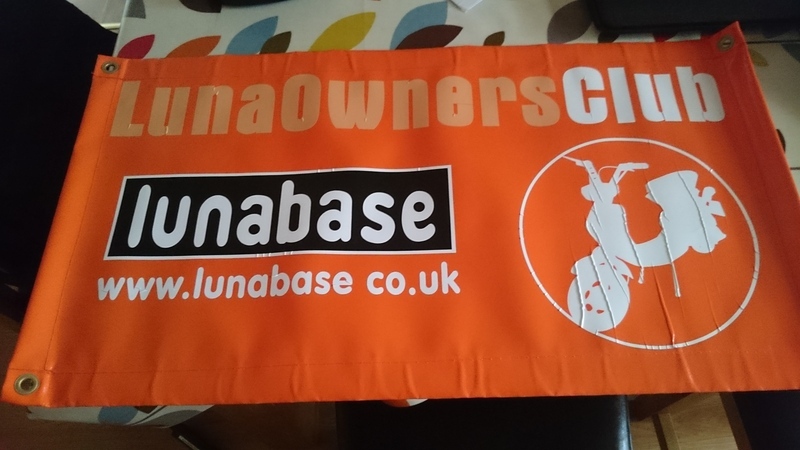 Daz - I'm toying with starting another Lunabase website, I'll speak to Sarah first and see what she says. So watch this space.